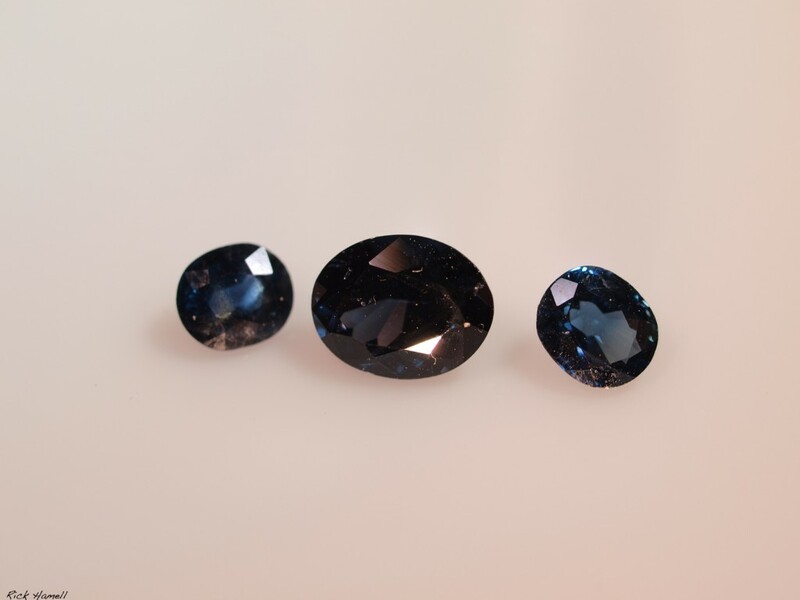 Three blue Montana Sapphires. Unheated and untreated. They’re 1.83, 1.10 and .85 carats in size. 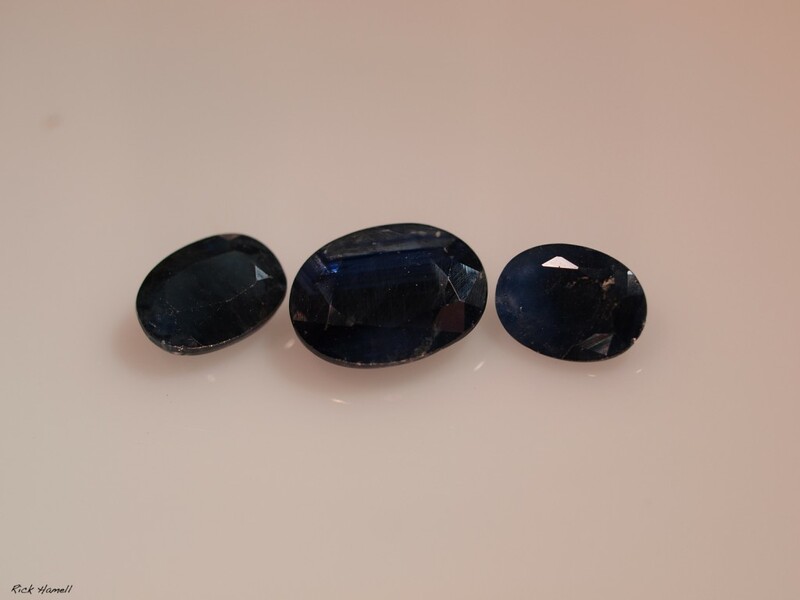 The middle stone is a Blue Spinel, the outer are Montana Sapphires. Sizes are 1.335 carats (the Spinel,) .55 and .65.